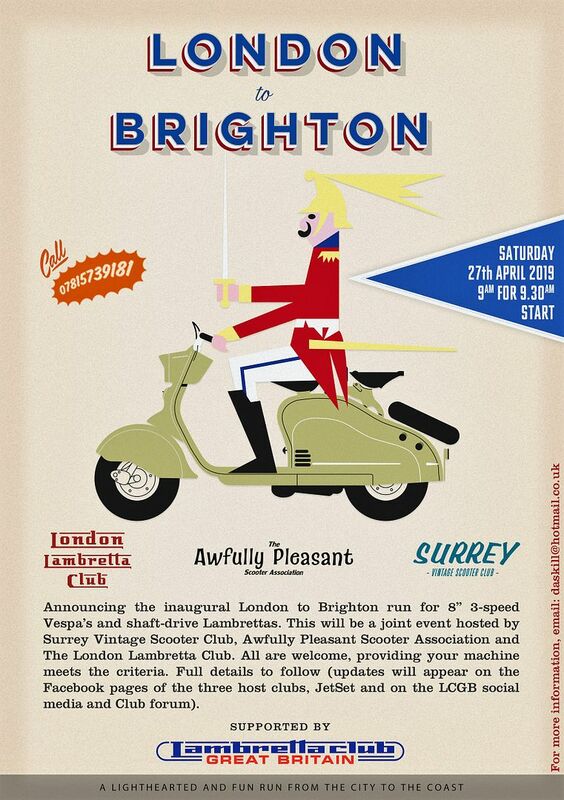 Surrey Vintage Scooter Club, Awfully Pleasant Scooter Association & London Lambretta Club cordially invite vintage Vespa & Lambretta scooters for a light hearted fun run to the seaside and is open to all if your scooter qualifies for our vintage status. This run is organised specifically for the older vintage scooters that do not normally get the opportunity to gather in numbers. Your Vespa must be of the three-geared 8” wheeled type as Rod, G, GL2, 42L2, 92L2, 152L2 or their Italian/French/Spanish equivalents. Lambretta models included are shaft drive only from A to F including LC & LD and again their foreign equivalents from Germany, France or Spain. The run will begin at a historic starting point used traditionally for the London to Brighton run by many classic vehicle clubs. From its elevated location, Tattenham Corner at Epsom Downs has an uninterrupted view over our fair capital city of London Village and far beyond. From here, our Southern route towards the coast will take us on minor roads through the counties of Surrey and West Sussex. We shall be pausing at The Devils Dyke to regroup and to take in its fantastic vista over the surrounding countryside before the optional final push to Madera Drive on Brighton Seafront. To assist in the smooth running of the trip, we have some volunteers who are kindly marshalling on the day with a rear gunner bring up the tail of the pack. In addition to this, the route will be signposted so look out for those little orange signs. In addition to the valued support by scooter clubs, we are lucky to have also been offered support from the Lambretta Club of Great Britain, Veteran Vespa Club, Scooter Nova Magazine, Scooter Lab UK, SIP and Scooter Center Koln. A fine support vehicle has been offered by LCGB on the day to assist in minor breakdowns or recovery back to the start or finish. As we shall be congregating from 9am for a 9:30am start on the morning of Saturday 27th April, those traveling down early from far and wide on Friday 26th April can congregate at the Premier Inn, Epsom South where we shall be holding an informal ‘social evening’ in the adjoining Heathside Brewers Fayre Public House. Instructions for the return journey from Brighton and Devils Dyke will be given on the day but we shall be holding a Mk2 social in Epsom Town centre on the Saturday evening to cater for those that wish to stay a second night and recount their tales from the day of vintage scootering larks. We shall also be asking for each rider to pay an entrance fee of £10 via a Paypal page. All of the money collected will be going to our chosen charity of The London Air Ambulance Service who are celebrating 30 years of flying to save lives in and around London. So dust off your vintage machine, kick the tyres, top up the fuel tank and see you on 27th April. There was a similar event held a few years ago called the Snake pass challenge granted there was a few shafters turned up, but a rake of other marques turned up also including myself, It's a bit niche to be just shafters surely? Looks like a great event. I hope it goes well. shame it is so exclusive = I would love to join in - 1954 8" wheel rumi. 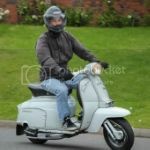 I cant speak for the Vespa family, however many variants / models / versions of Lambretta could be used. Lets not put a downer on someone else's event that the Club has been asked to support fellas. The organisers are obviously trying to put on something a little bit different and hopefully people will see, understand and support that. The possibility of an event like this getting swamped and out numbered by other machines takes away from what it is suppose to be IMO. On a purely personal note I think machines like a 1954 8 inch wheeled Moto Rumi would be welcomed, just restrict yourself to using the first 3 gears - For official confirmation the organisers contact details are listed on the flyer, or watch out for future up-dates from the Clubs involved. Not dissing the event at all. All I'm saying is the shafters can be the stars of the show just don't make it so exclusive, personally I don't see the point buts that's just my train of thought. The more diverse the crowd will create interest in the early models which can only be a good thing. Like I said earlier, good luck with the event I hope it's a resounding success. Last edited by Cgt75b on Sat Dec 29, 2018 6:51 am, edited 1 time in total. and I thought it was only us that got grief from the GTS mob with the South Downs run! mainstand wrote: and I thought it was only us that got grief from the GTS mob with the South Downs run! Just out of interest and ignorance, who are/is the 'GTS mob'. I'm guessing 'auto' riders? looking at the replies above, I genuinely did not set out to offend/upset the organizers with my comment. this sounds like a great event for anyone with the right machine. I have always tried to join in on my oddball/weird stuff at scooter events where possible - race/trial/gymkhana/sprint/grasstrack/giro-de-italia, on Heinkel/velocette viceroy/maicoletta/moto rumi, over the past 40 years with varying success, and more recently on road based events with lcgb/solent cougars etc on a rumi = I believe can see more than anyone why the "shafters" would enjoy an event like this without having to try to keep up with everything else around them, and struggle to make the finish point within an hour of folk on more practical machines. if I can borrow a suitable machine I will attend even if its on a "vulga". best of luck with the event to the organisers and riders. graham fisher - "the planets most ardent gts hater"
Herbert wrote: Just out of interest and ignorance, who are/is the 'GTS mob'. I'm guessing 'auto' riders? oh bugga, I had remembered a machine I had lurking in the back of my lock-up that was eligible on the original entry criteria - but is now outlawed. that will teach me to keep my big mouth shut and just turn up next time. Last year someone piped up that I was being racist towards GTS's. Any one else going shafting next week? And what are are you riding? 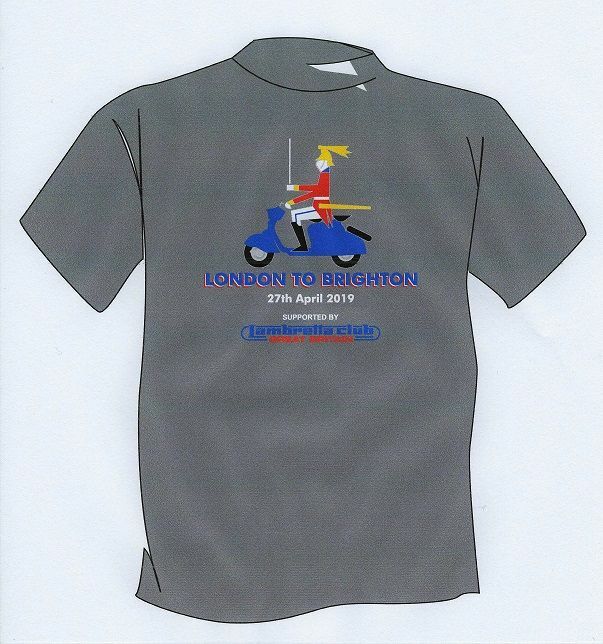 Limited amount of Club Tshirts available to those members taking part - Available at the event from Friday evening onwards.